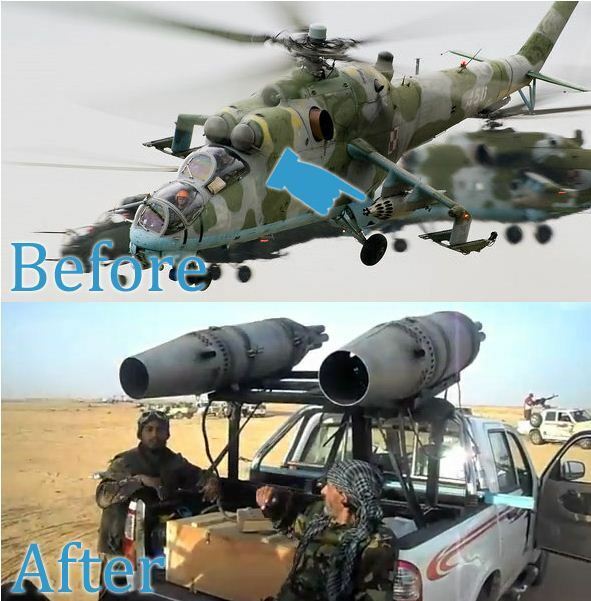 What you see in the image above is a C5 Russian missile launcher removed from its “aircraft source” and then adapted/modified for use on the rollbar of a jeep/truck. There is also a video too, below the image available at reposter here. 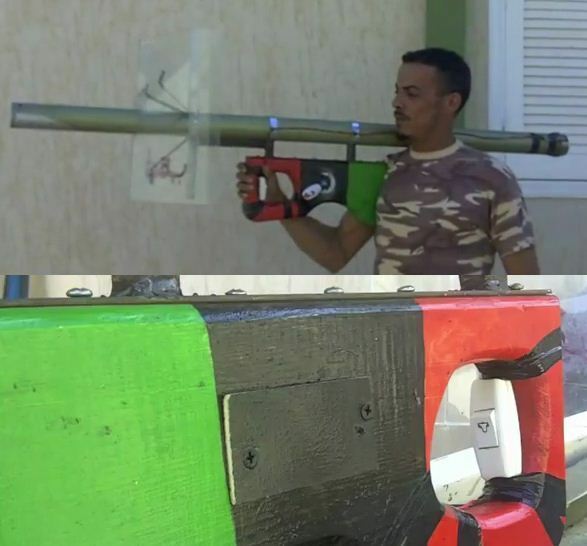 Another of these “DIY” wartime inventions is a hand-held grenade launcher modified for individual use (the source being a slew of them mounted on the bed of a truck). This entry was posted in STS, Teaching, Uncategorized by Nicholas. Bookmark the permalink.